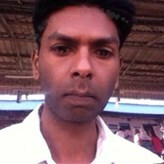 I am Afzalkhan 36 years old & never married. I am living with my parent, brother & Sisters. I am a fun loving and like to travel. I believe in simplicity, peace & harmony. I enjoy to watch wildlife. We belong to Pathan family. We are Sunni & solely believe in Islam. Good looking & humble. Simple or moderate, Single Or divorced or widow. Wearing Hijab or not. Regular prayer & tilawatul-Quran.